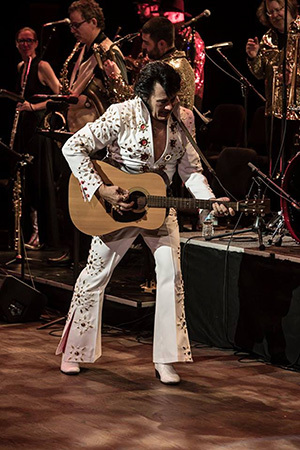 A Northern Colorado favorite with a new twist, George Gray and the Elvis Experience Band return to the UCCC for their 11th year. “Elvis: Salute to the Blue” takes the stage on Sunday, November 25, at 2 p.m., this time honoring the men and women in law enforcement. Local radio personality, George Gray, reprises his role of “The King” once more as this UCCC tradition continues.